Penny Pennington and Mike Fidler. Photo courtesy Edward Jones. 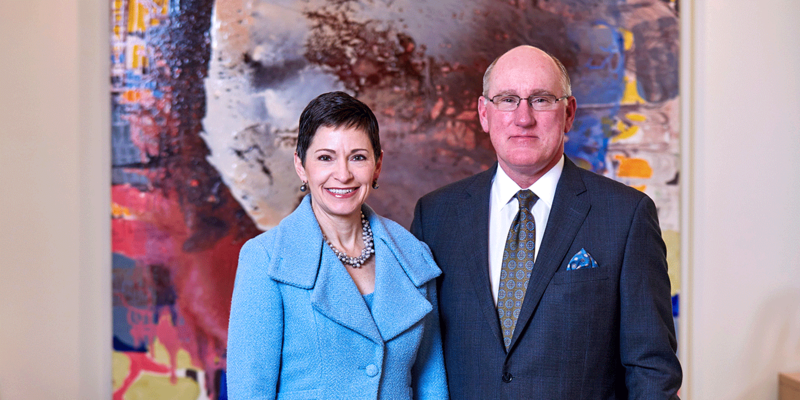 The Arts and Education Council announced today that Edward Jones Managing Partner Penny Pennington and her husband, Mike Fidler, will co-chair the St. Louis Arts Awards on Jan. 27, 2020. 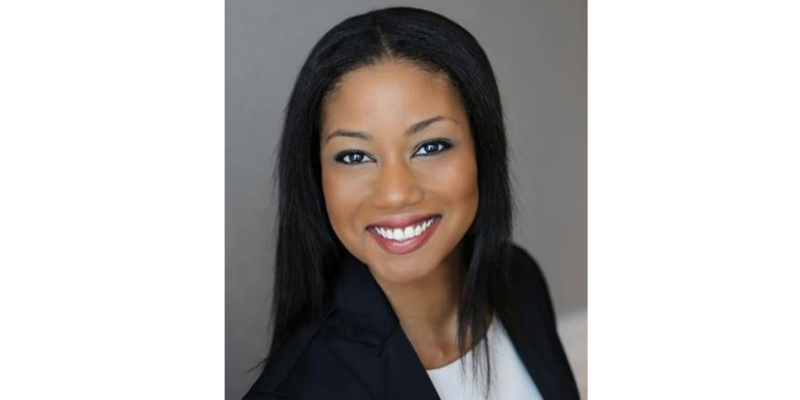 Actor Andréa Purnell will emcee the fundraiser. Now in its 29th year, the event honors individuals and organizations who have made significant contributions to the St. Louis region’s arts community. Nominations for honorees are now open online. “Penny, Mike and Andréa have each been incredible champions for the St. Louis region’s vibrant arts community for many years and we are proud to have them lead this year’s event,” said Cynthia A. Prost, Arts and Education Council president and CEO. Penny Pennington is the sixth managing partner of Edward Jones. An active member of the St. Louis community, Pennington serves on the boards of Shakespeare Festival St. Louis (an Arts and Education Council grantee), Donald Danforth Plant Science Center, Saint Louis Fashion Fund (an Arts and Education Council grantee) and Whitaker Foundation, and actively champions Edward Jones’s national presenting sponsorship with the Alzheimer’s Association®. Mike Fidler spent more than 26 years in corporate and investment banking. He was responsible for building and leading the corporate finance activity for Comerica Bank, which, at the time, was headquartered in Detroit, Michigan, before moving to Dallas, Texas. Fidler and his wife, Pennington, moved to St. Louis from Livonia, Michigan in 2006. An avid golfer, Fidler is an accomplished chef and enjoys learning about wine. Andréa Purnell is an artist and arts administrator. She is an actress, writer, director and stage manager. Acting credits include theater, commercials, industrial films and movies. Among her writing credits is the play, “Depression, Whose Disease Is It Anyway,” which she produced as part of a program she created to address mental health challenges. Purnell serves on the Regional Arts Commission, Florissant’s Disability Awareness Commission and the Fontbonne University Council of Regents. She has received the Grand Center Visionary Award, North County Incorporated 30 Leaders Award, ALIVE Magazine Buzz Listing and DELUX Magazine’s Women Who Inspire Award. Since 1992, the Arts and Education Council has recognized more than 180 honorees at the St. Louis Arts Awards. 2019 honorees were: Ken Page, Lifetime Achievement in the Arts; Noémi and Michael Neidorff, Excellence in Philanthropy; Brent Benjamin, Saint Louis Art Museum, Excellence in the Arts; Sue Greenberg, St. Louis Volunteer Lawyers and Accountants for the Arts and The Muny, Champion for the Arts; Chris Hansen, Kranzberg Arts Foundation, Arts Innovator; Tennessee Williams Festival St. Louis, Arts Startup of the Year; and Amy Freet, Ferguson-Florissant School District, Art Educator of the Year. The public is invited to submit nominations online for the 29th annual St. Louis Arts Awards now through April 30. Nominations will be reviewed by a community panel and honorees will be announced in June. For more information about the St. Louis Arts Awards, click here.